As many of you know I have been dabbling with parts for these cars for oh about six years now. And have been fortunate enough to sell parts in ten countries to date. Most of these parts have been to club racers, but here and there a few professionals. But the tractor company in Israel doesn’t quite fit in either category I don’t think. So I thought that I would share with you what people like you are looking for out there. Now remember that this does not include the new parts that we sell. Nor does it differentiate between what we have and dont have, but just the request. Wheel centers and rim halves. These are far and away 16″, although just recently we have seen a few request for the 18’s. BBS 5 x 5 centers were hot, and scarce, last year, not so much this year. (of course since I have a couple in stock.) Centerlok centers sometimes, and I just found out that there some with a 3″ hole for the spindle as opposed to the standard 2.44″. 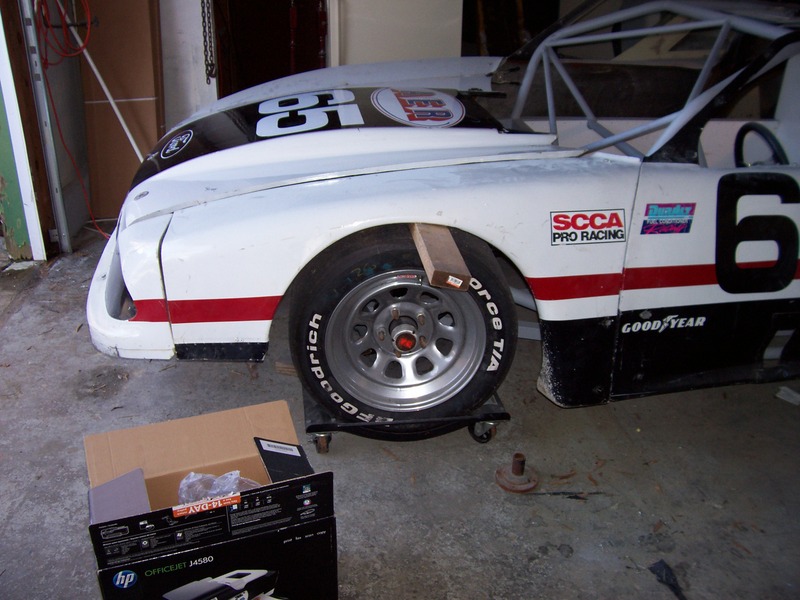 Rim halves, a lot of people wanted inners when the SCCA allowed 13″ as opposed to 12″ width. Now however its mostly to replace crash damage. Bodywork is kind of interesting. We probably have sold more complete bodies than individual parts. This is generally somebody doing a total build from scratch of a car. Or, in one case, there were only two cars with this particular body built and the owner wanted to be sure he had a spare set. Occasionally we do sell a individual piece to a customer. But this can lead to a bit of frustration as people are understandably looking for lightly or undamaged pieces at discount prices. Carbon Fiber wings are also a steady seller. Transmissions. The wide gear Hewland is always in demand, the standard gear not so much any more. Jerico and T101A are steady. Not so much now from GT racers but from vintage racers. The Jerico to replace the Ford top loader, and the T101 the Borg Warner T10. Suspension components, most often asked for are centerlok spindles and uprights. These again are for people building a bare chassis. This was just a quick review of some of the requests we get for parts. By no means is it complete, and I am sure that as soon as I post this I will remember a complete category I forgot. For several years I have had a bare GT1 style chassis lying around the shop. And admittedly I have been trying to sell it. Well, to be candid, I wasn’t exactly overrun with takers. So after some deliberation I decided to go ahead and build it into a vintage GT1 style car. So after some consultation, I sent the chassis to Scott McLearen of 2M Engineering to lay the ground work. First let me say that although I have the parts to make it into a true TA style, centerlok hubbed ride I choose not to yet. The reason being that I may use it for track days, or rentals first. And its cheaper to use 5 x 5’s. I can always swap to the centerloks. 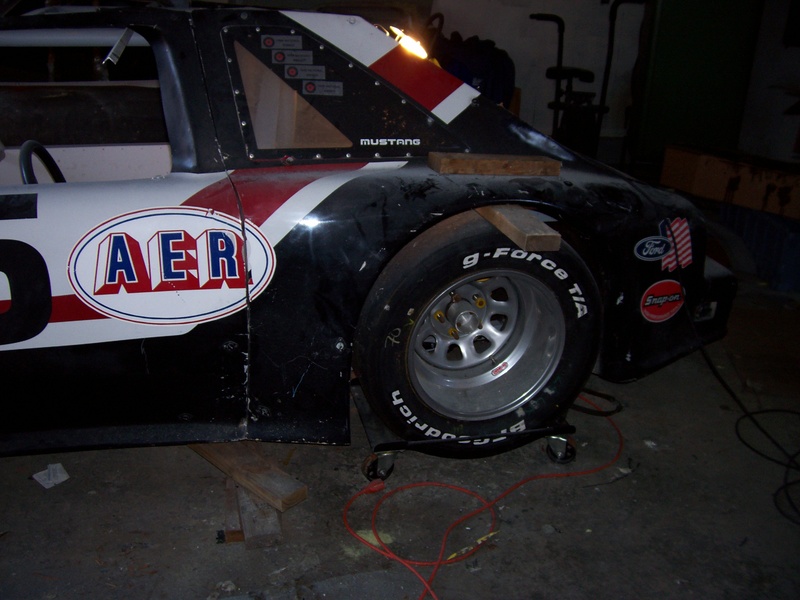 Scott did a great job of fabricating the suspension and getting the car up on its wheels. He made brand new control arms and uprights, all the links, and trailing arms, etc. No used parts in the suspension at all. Now I get to try my hand at fitting the body. 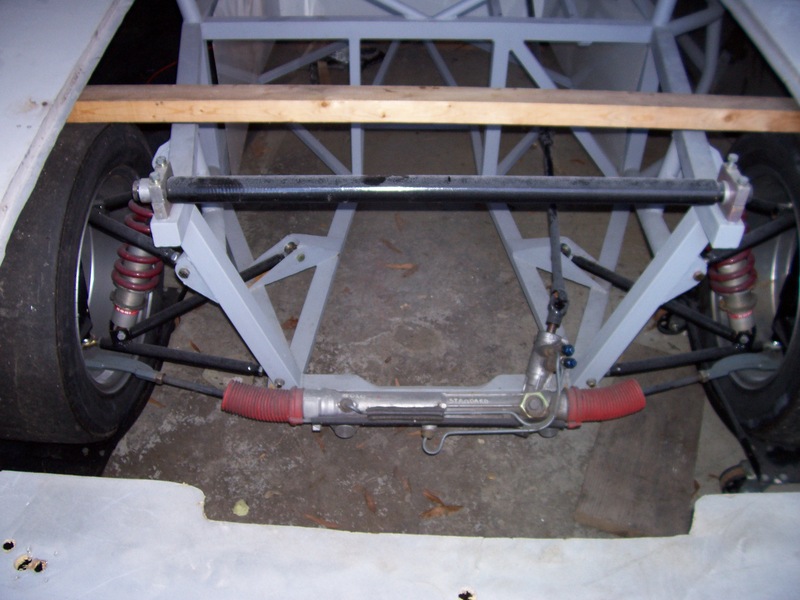 The body I choose, is the correct one for this vintage of chassis, an 1987 Mustang carbon kevlar piece. 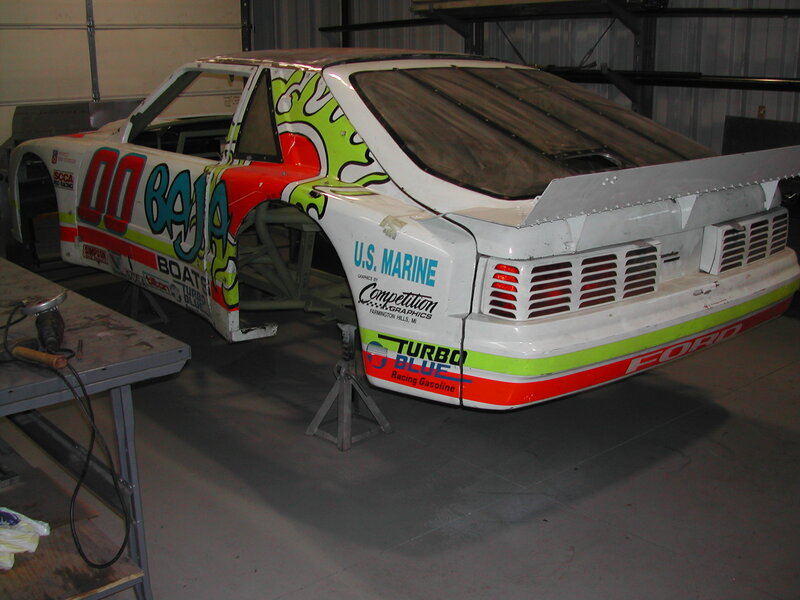 This particular body was used, as you can see on the #65 AER car in 88. Still has the four National event win decals in place. I’m just finishing trimming out the steel roof, required for these bodies. Mounting begins next week. If you need good fabrication, or assistance at the race track I strongly recommend Scott.